On Sale Now! 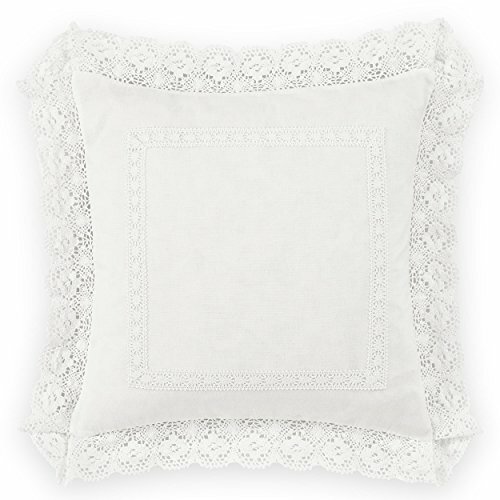 Save 7% on the Laura Ashley Annabella Square Pillow, 18 inch, White by Laura Ashley at Home Decor Outlet Store. MPN: 221292. Hurry! Limited time offer. Offer valid only while supplies last. With a nod to the past, this White on White cotton ensemble trimmed with crocheted lace adds romance and modern femininity to your bedroom decor. If you have any questions about this product by Laura Ashley, contact us by completing and submitting the form below. If you are looking for a specif part number, please include it with your message.